Bonaire offers ultimate freedom. Rent a car and dive tanks, and dive wherever and whenever you want. Bonaire offers a large variation of stunning reefs and dive sites for all experience levels. Along the entire west coast you can walk into the gradually deepening water. 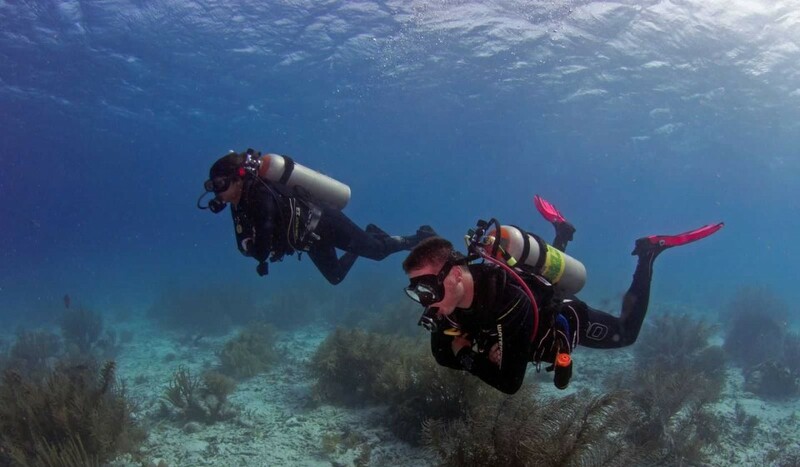 The reef starts at just 16 feet (5m), making diving on Bonaire extremely suitable for beginners. Experienced divers looking for adventure are in for a treat as well with their choice of magnificent wreck dives, deep dives, and night dives. AB-Dive is not connected to the grid and runs entirely on solar power. 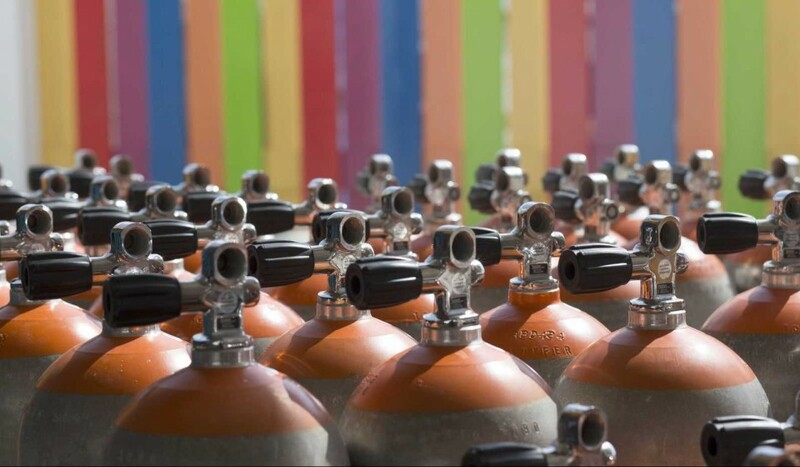 Our standard air and nitrox tanks are therefore filled 100% sustainably. Not only are our air packages the cheapest on the island, you can also easily change tanks using our drive-thru service! Save time and get back into the water in no time. Whether you drop by to rent something or to take a course, we like to hear about your experiences and tell you everything about our favorite dive sites in our full service dive center. Filled until 220 bar (3200 psi) and prices starting at just 23 dollars per day. Plenty of air to pass the time! The easy accessible and calm west coast makes Bonaire the place to be. Discover its beauty. New to scuba diving? No problem! Bonaire’s diving environment is perfect for getting your PADI Open Water Diver Certificate. We have everything, from dive tanks and wet suits to pick-up trucks.